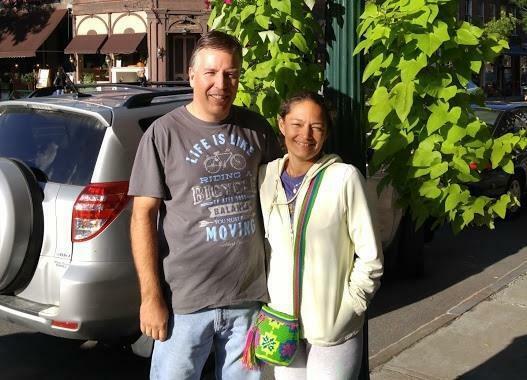 Mike and Laura Cote died after they were rescued from a rip current at Seabrook Beach. SEABROOK, N.H. — Michael and Laura Cote usually attended an early Sunday Mass at their Dracut church, but this past weekend was supposed to be special. The deeply religious Methuen couple had plans to visit friends at Seabrook Beach in New Hampshire, so they attended an afternoon Mass on Saturday instead. “I’m sure it was because they were going to go away on Sunday,” said Michael Tompkins, a deacon at Saint Francis of Assisi Parish. That Saturday service was the last time their fellow parishioners got to see the couple at the church. Michael and Laura Cote were identified Monday as the drowning victims of a powerful rip current that swept them out to sea at Seabrook Beach Sunday. Four other swimmers were rescued. The beach where the couple died was the scene of a dramatic rescue at around noon Sunday, involving a lifeguard, police officer, and bystander who pulled the swimmers from the choppy waters over the course of an hour, witnesses and officials said. Matt Tomaszewski of Boston was enjoying an idyllic day on the New Hampshire coast with his family. That’s when the screams started. Beachgoer Alexa Jelley recalled that spirits on the beach were high, as the sun came out from behind the clouds about 11:30 a.m. and temperatures reached the low 70s. The water along the beach usually looks like a “sheet of glass,” she said, but was strangely choppy on Sunday. Waves reached 3 to 4 feet high, and the beach was listed as “low risk” for rip currents, John Jensenius, a meteorologist with the National Weather Service, said Monday. “It was not a day when we were expecting really strong rip currents in the area,” he said. Shortly after noon, six people in the water began struggling and screaming, according to State Police and witness accounts. A “severe rip current” had hit, Seabrook Town Manager William Manzi said. The six waders were standing in waist-deep water when the current pulled them away, a survivor would later tell Matt Tomaszewski, who saved two of the swimmers. Tomaszewski, a former Syracuse University basketball player from Boston, said he was sitting on a porch on Ocean Drive that overlooks the beach when he heard yelling. He grabbed a paddleboard and rushed into the water as his family nervously waited on the sand. A couple hundred feet from shore, Tomaszewski, 29, found three swimmers, one of whom was unconscious, he said Sunday. Tomaszewski and two of the swimmers lifted the unconscious man onto the paddleboard and began kicking toward shore. But a large wave knocked the man off the board and out of sight, so Tomaszewski focused on getting himself and the other two people safely back on shore, he said. “It was the toughest thing I’ve ever been through,” said Tomaszewski. His family members on shore were not able to see Tomaszewski in the water for about 10 minutes, according to a witness who did not wish to be identified. She said the waves were rough, and she could see the currents course through the water. Police were called to the scene about 12:30 p.m.
State Police Marine Patrol, the Coast Guard, the Seabrook police and fire departments, and the Hampton Fire Department all helped with rescue efforts. The couple were unconscious as they were removed from the water separately, State Police said. Michael Cote was found at 12:59 p.m., Seabrook police said Sunday. Aileen Zelesky, who has come to Seabrook Beach for 12 years, said first responders were performing CPR on him just feet from where she was sitting with her daughter. The beach became tense and eerily quiet as strangers held hands and prayed during the rescue efforts, Zelesky said Monday. Scuba crews and a Coast Guard boat plied the waters. The Cotes were taken to local hospitals. Michael Cote, 49, was pronounced dead on Sunday, and his wife, 47, died Monday morning, State Police said. Just down the coast, authorities in Ipswich found the body of a Rowley man in the surf along Crane Beach on Monday morning. His death is under investigation, but a preliminary investigation indicates an accidental drowning in the rough waters, according to police. On Monday evening, more than 200 men, women, and children gathered at St. Francis of Assisi Parish for a memorial service for the Cotes. It was closed to the media. Some wiped away tears in the parish parking lot. Some held hands, and many embraced as they greeted one another at the front of the church, next to a statue of St. Francis. Tompkins, who spoke earlier Monday, said they regularly attended services and went out of their way to help the parish. Michael was a lector at the 7 p.m. Sunday Mass and part of a men’s group with Tompkins. Laura served as an extraordinary minister, a role that included distributing communion at Mass, the deacon said. Richard Cote said the family’s faith is helping them get through the grief. At Seabook Beach on Monday, a swim advisory was in place, but the beach remained open, the town manager said. He said the town issued a Code Red alert to warn beachgoers about the current. Paul Walker, a North Conway, N.H.,resident who visited Seabrook for his family’s annual beach trip, said he felt the currents Sunday and told his family to stay on shore. The day after the deadly drowning, he was even more hesitant to let them splash around in the waves, he said. “I don’t know if I’m letting the kids go out in the water,’’ he said. Globe correspondents Abigail Feldman and Jackson Cote contributed to this report. J.D. Capelouto can be reached at jd.capelouto@globe.com. Follow him on Twitter Twitter @jdcapelouto. Jerome Campbell can be reached at jerome.campbell@globe.com. Follow him on Twitter @jeromercampbell.